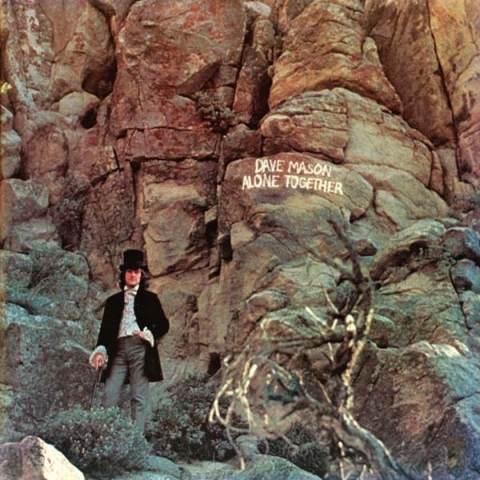 Alone Together was the debut solo album by Dave Mason. Performing with Mason was a roster of guest musicians, including Delaney and Bonnie Bramlett, Leon Russell, Jim Capaldi, Rita Coolidge, Carl Radle and Jim Gordon. Billboard Magazine (1970) wrote, "Mason with help from friends Jim Capaldi and Leon Russell proves his mastery of the rock idiom once and for all. The lyric content and music content of every song catches the senses of the listener and creates excitement". Bill Shapiro of the Rock and Roll Review (1991) says, Mason's "reputation as a composer, guitarist, and singer of the first rank is both merited and in evidence here". The song, "Only You Know and I Know", received a good deal of album-oriented rock radio airplay and reached number 42 in the USA, a major commercial success. The LP record itself was not the traditional black vinyl, about 30% of the albums were a swirled mix of pink, brown and beige.